Users of Sony Xperia Z get interested to know further about different ways to make use of the most efficient features of this mobile phone. Are you one among them now? You can keep concentrate on the following details that support you professionally use your mobile gadget as awaited. You have to make use of the Google Account whenever you get ready to efficiently use Google Play app store. You have to login to use contacts that associated with your account. If you wish to share your contacts with your friends, you can make use of NFC that stands for Near-Field Communication. This is same as Bluetooth. You can share not only contacts, but also photos and music. On the other hand, your friend who wishes to get your contacts has a need to have a NFC enabled mobile phone so as to done it. 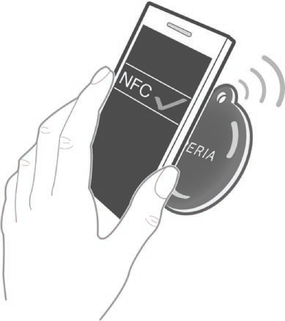 You can easily enable NFC by using Settings > Wireless and Networks > More. File Transfer Manager of this mobile phone gives the complete support to every user to get the desired support to efficiently use files. The most outstanding feature of this mobile phone is its PC companion nature of USB file transfer manager. This feature supports users to move files of different categories like videos and photos from computer to the mobile phone. Users of this mobile phone’s file transfer manager can convert data from their old mobile phone to it. They can also import their contacts from their computer by using this feature. The easiest way to use this option is to tap the Contacts that located on the Home screen. You can listen to the existing apps and currently running apps when you listen to details subsequent to Settings > Storage. You can also make use of the dropdown preference list that is above the apps screen. If you have done it, you can successfully switch between alphabetical list, recently installed, and most used apps. You can switch off an app when you click on that app and choose Stop. You have to know how to manage mobile data settings efficiently. You can activate the mode of Stamina by using the Settings > Power Management options. You can also turn off your mobile connections, Bluetooth, Wi-Fi, and auto-sync options to increase the battery power further. You can choose Settings > Display to set your mobile phone into Sleep mode after or before 30 seconds. You can choose Settings > Screen brightness to disable the auto-lighting adjustment. You can use this mobile phone to boost up your storage successfully. This mobile phone has internal storage of 16GB. You can use 32GB of microSD card to get the best support to use total storage of 48GB. You can choose Settings > Storage to choose Transfer to SD Card option to offload videos, photos, and files. You can use Dropbox’s Camera Uploads to store the photos on the Android phone whenever you connect with Wi-Fi.